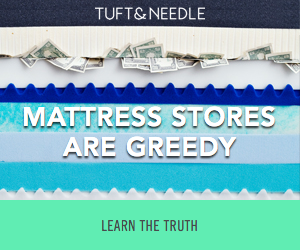 Click on the above link and it will take you to an awesome video that Tuft and Needle has put together to show that Mattress stores are really greedy. I had never really thought about these until we recently decided to go looking for a new mattress. They jack their prices up based upon on the levels of comfort the mattress has or the flashy names. They also have to jack up the price because well you all know they are getting to take commission out. However Tuft and Needle provides superior mattress' that do not cost a arm and a leg and well in this economy, I want comfort but I don't want to take refinance my mortgage for a new mattress. Tuft and Needle Mattress' are made in the USA! Yay for supporting businesses local to us. There fabric comes from textile mill in the Carolinas! Go Carolina! You can sleep on a honestly well crafted mattress for an affordable price. Twin beds are $350.00 and California King beds are $750.00 and these beds are shipped directly to you! You can also click the banner below to be taken to their site. I know first hand, that as a college student we all need to save money. Especially on our textbooks, which can get pricey. I love that there is an alternative to purchasing textbooks now! Campusbookrentals.com has a solution for you all! They have rented over 1 million textbooks, providing to almost every campus in the USA. With campusbookrentals.com you will be sure to save between 40-90% on your textbooks! Another amazing thing about them is that you will receive free shipping and you can highlight in your book. I know highlighting in my book was important to me and my studying skills! Another exciting thing is that Campus Book Rentals provides a portion of their fees to Operation Smile. Which is a volunteer based children's medical charity that provides free cleft surgeries. So not only will you be saving money but you will be helping a small child! Campus book rentals is really the place to go for all of your textbook needs! I love projects but sometimes, I run out of ideas! If you are like me and have a creative spark and want to make the most of your time, you should check out Cricut Access. It is a new subscription service. It has over 1000 projects, 30,000 images and 370 fonts. Sure sounds like it would keep me busy! They offer everything from St. Patricks to Summer Celebrations and a huge amount more. Below is one of my favorite's a Valentine's cards! Now you can make your own and not have to buy them from the store. 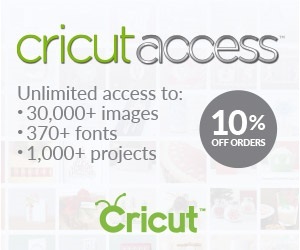 Cricut Access is available on a monthly or yearly basis. For a monthly subscription is $9.99 and the yearly subscription is $95.88! This is great for all sorts of things and would make a terrific gift. Plus right now you can receive 10% off any order when you purchase a subscription. 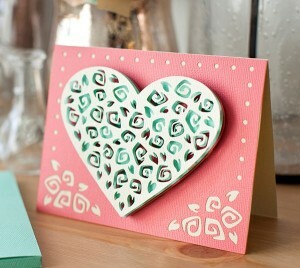 If you enjoy crafting, you will not want to miss this! 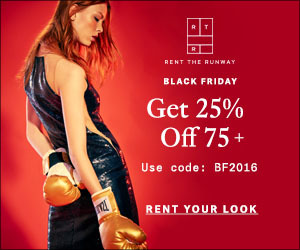 Rent the Runway has done it again and this time they are offering some beautiful dresses just in time for Valentine's day that will really bring the romance out of will make you the center of the party. I love their variety of styles and the fact that they have something for everyone. One of my favorite looks is the Nicole Miller Back to Back Sheath. It is a stunning, sleeveless, v- neckline with an open back. It is a beautiful deep red and just screams Valentine's day and romance. It retails for $410 but you can rent it for $30! You can also choose to rent it for 4 days or for 8 days. This is gorgeous and would be great for a night out on the town paired with simple accessories. Another one of my favorite's is the Badgley Mischka Fifth Avenue Showstopper Dress. It has blush sequins and a ruched waist. It is different than the other dresses out there and you will be sure to sparkle and stand out. Besides coming in the blush it also comes in navy and black. It rents for $35 and retails for $750! Tear drop earrings would look lovely paired with this dress. Make sure you sign up to also get 20% off your first order. Gymboree is one of my most favorite place to shop for new baby clothes and well toddler clothes as my little sprouts is getting bigger. I love when they come out with new products and they have revealed their new golden book collection. As a child, I remember my grandmother reading many of the Golden books with me and now I have begun to read them to my own child. Within Gymboree's Little Golden book collection we see beautiful outfits from 0-3 up to 18-24 months that include the Poky little puppy, Fuzzy Duckling and the Shy Little Kitten. Poky little puppy has always been a personal favorite of mine and now I can pick up a few outfit for my little girl to wear. Gymboree is hosting a huge sweepstakes where you can win everything your family will need to snuggle up and make story time special. If you want to take a chance at winning yourselves make sure you can and enter also don't forget you can't win if you don't enter. Below is the address to enter. gymboree.com/littlegoldenbooks now through February 29; winners will be announced in March. Below is one of my favorite outfits for those cute little guys in our lives. It is a plaid one piece with buttons in the front that features the Poky little puppy and it can be yours today for only $32.95. The above outfit is the sweetest thing around for our little girls. It features the fuzzy little duckling. It has ruffle cuffs and is easy to put on and take off and it also has the Little Golden Books badge on the back. You can get this for $32.95 and it would be so cute for Spring and Easter. As always, remember Gymboree offers free shipping on overs over $75! CShop the new Little Golden Books baby collection at Gymboree!